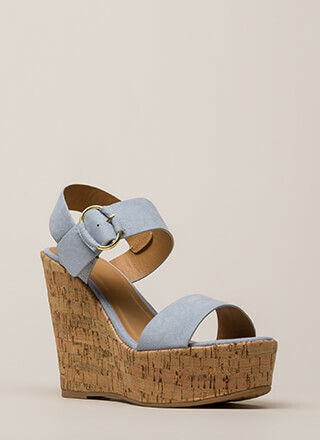 Take a vacay from your heel collection and go somewhere in these wedges instead! 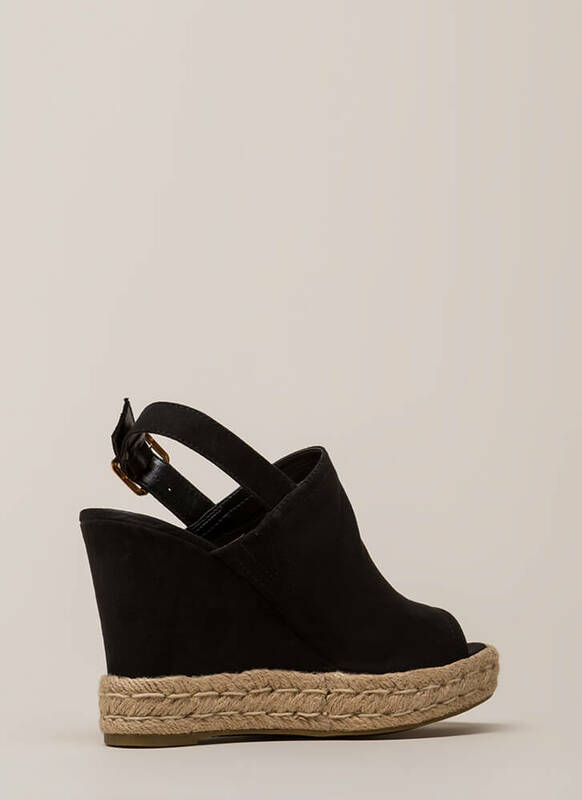 Vegan suede peep-toe wedges feature a paneled upper, a slingback heel strap with an adjustable buckle, and a platform with braided jute trim for an espadrille-inspired look. Shoes are finished with an exposed heel and a ridged sole.